We are grateful that God blessed you with so many gifts and you are willing to share them with us! The first are your amazing stories of love and life in your quilting. You have planted beautiful stories in the blending of each piece of material…your light will never die nor grow dim! Secondly, I want to thank you for the angel you named Holly! Having her in my life has enriched me in ways too numerous to list! I thank God for her friendship and for her willingness to share the wisdom of her she-ro (YOU) with me. May the lord continue to smile on you and give you peace! Thank you so much, Jevetta, from Mom and me. Your words are so thoughtful and kind, and touched us both. They are yet another blessing you have shared over so many years. Thank you, Bernie, from Mom and me. We love seeing you in the video! Happy memories of quilting together. You and I have the same birthday on May 24th. I met you when I worked with your beautiful daughter, Holly at Oxboro Library in Bloomington. Little Rock, AR an Belle Vista, Arkansas. 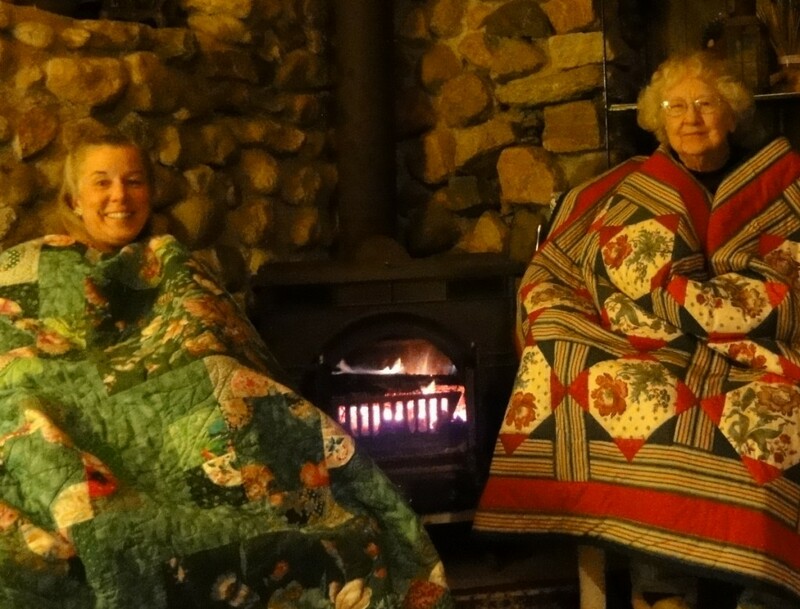 Thank you for your beautiful life in which you have brought warmth, love and happiness to so many through your quilts. I am also deeply grateful for the pleasure of knowing your creative, enthusiastic, and smiley daughter. What a lovely surprise to hear from you, Marilyn! Thank you for your very kind words, and memories of working together. That was such a special group! Mom had a birthday filled with love, and I hope you had the same. Happy quilting! Dear Audrey, you are an ARTIST !!! The designs are intricate, unique and creative! I never knew you personally, but your love for others and for beauty in ordinary things shows clearly in your marvelous creations. As Holly says, only God knows how many people you have comforted and blessed with your quilts — and with your life. May you receive blessings back a hundred-fold! Happy, Happy 90th Birthday! Holly, may you be blessed in return for this wonderful tribute to your Mom! Thank you so much, Angie, for your sweet and thoughtful words. You have always been such an encouraging friend, since our days as volunteers at the zoo. Mom was so moved that her work has touch more people than she knows. I’m sure you have done the same! Thanks, Greg, from both Mom and me. She lit up upon seeing your message, and we would love to see you this summer!